Had a declutter and need your junk removing? Done up the house but not got rid of the mess? Don’t worry. One quick call to Clear It Waste and we’ll soon have your rubbish removed, giving you back your space and letting you get your property back to normal. 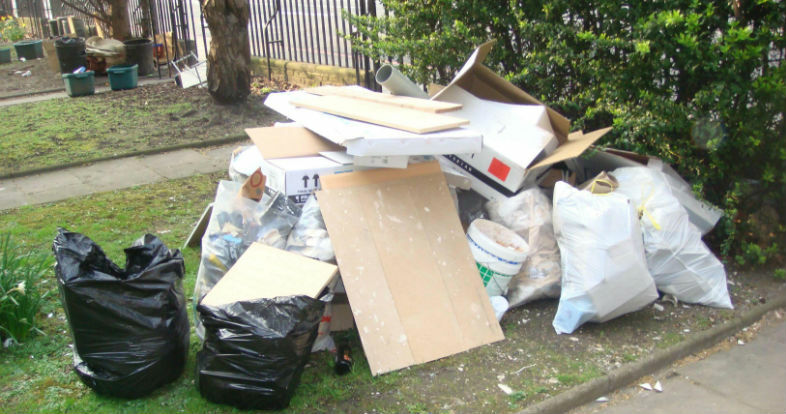 Our experienced team of waste removal London experts will organise a rubbish removal service designed around your needs. We aim to be convenient and discrete and will carry out our work in a professional, friendly manner leaving your property completely free of junk. What’s more, to ensure you get great value for money, we’ll do all this at an affordable price. So, call our friendly, Clear It Waste Customer Care Team now on 020 8504 2380 to book your expert waste removal. Available for one off and regular collections, from a single item to a total rubbish removal. Available at a time that suits you. A dedicated team is available to remove all unwanted rubbish, inc furniture and other household items at a time convenient to you. We Guarantee all garden waste we dispose of is recycled and reused properly. Giving you time to enjoy your garden. Call one of our team to discuss a discounted rate and a vehicle or skip to suit your needs. From 1 item to a total office clearance clear it provide a fast, reliable and hassle free office clearance service. We offer one off or weekly collections, whether you’ve just renovated you’re shop or simply have some unused items to clear. Easy simple and compliant with all waste regulations everything we take is 100% recycled. We can remove construction site waste, Give us a call to arrange a service to suit your needs. We’re available from 7.30am until 6.30pm, 7 days a week and carry out 50 clearances every day. Our vehicles range from small vans all the way up to 7.5 tonne lorries – so no matter how much junk you need removing, no job is too big or too small. We will show the highest respect to your property and that of your neighbours when carrying out our work. 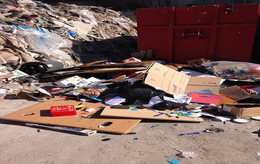 We’ll take great care when removing your waste and leave your site clean and tidy when we leave. We’ll also be discrete so as not to disrupt you or cause any inconvenience to your neighbours. We go to great lengths to ensure that we recycle as much of the rubbish we remove as possible. We set ourselves increasingly challenging targets to improve our recycling levels and are always looking for new ways to reduce the amount that goes to landfill. Currently, we recycle 80% of everything we collect. We also make sure that anything we do collect is recycled responsively and carry out checks on those who recycle on our behalf. We are transparent in the way we work and always give quotations based on the volume of waste, where it is stored on the property and how near we can park to the property to remove the waste. Once we have provided you with a quote, we’ll stick to it. There’ll be no hidden charges or unexpected price increases – and you’ll find our rates very competitive, too. We are a London waste removal company, based in Islington. If you are looking for same day rubbish collection London, you can rely on us to have a team nearby with a good knowledge of the local area. Being local also means we can keep to our appointment times as we never have far to travel. We are one of the leading waste collection and rubbish clearance company in London. Our fast and efficient rubbish removal are specially designed for domestic and commercial establishments and clients. We recycle over 80% of all rubbish collected. We also arrange time and dates that are convenient to our customers. Cheap, quick, help to load: there is no reason not to clear it. Clear it waste offers over 50 collections a day, if you are not sure exactly how we work give us a call and one our friendly staff will talk you through our services. Here at Clear It Waste we are trying to keep the costs down to the end user, even though land fill tax has risen again this year! We promise our prices will stay the same all the way through the year. Rubbish collection in London kept simple. With a selection of our Small, Medium, Large vans and 7.5 ton Lorries we have a vehicle specific to your needs. Too Confused? Give us a call and one of our team will help guide you through you selection. All our waste collection vehicles have steel cages which makes loading your rubbish extra simple, and if that's not enough all our sized vans come with 2 guys to make loading a breeze. Extra Labour can be arranged on request. Clear It Waste services starting from 7.30 am to 6.30 pm. When it comes to Clear it, no job is too big or small. We can collect rubbish and recycle anything from 1 item to a total clearance, leaving your space of the highest standard: spotless, empty and free of rubbish. We are committed to providing a reliable and professional waste removal service giving you the best price always. Clear it Waste provides an excellent London rubbish clearance service. They dealt with my inquiry beyond office hours, they squeezed us in on the day we needed a collection at short notice, and the two guys who came were really friendly and removed the stuff we needed to clear very quickly. I can highly recommend this company, we will definitely use them again. I always use Clear It Waste for my waste disposal for my shop. They're very efficient, offering a great, reliable service and at a brilliant, competitive price! I used Clear It Waste for a site clearance which needed to be dealt with ASAP. I gave them a call the night before and they were on site 7.30 the next morning. I don’t know many companies that can offer that sort of service. When it came to payment I was shocked how cheap they were. I definitely got my money’s worth. I work for one of the largest mechanical contractors in London and Clear It Waste are on the top of my waste collection London list. I would recommend them to anyone.